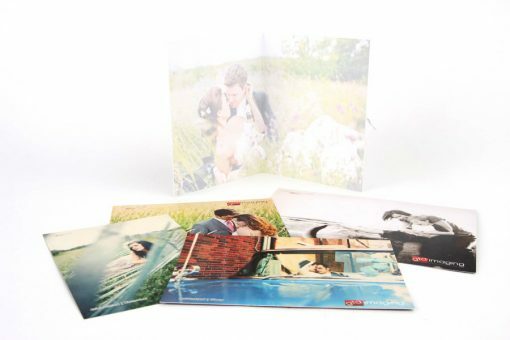 GTA Imaging is proud to offer the highest quality short-run press printed products available. Printed on Indigo printers with real liquid inks. 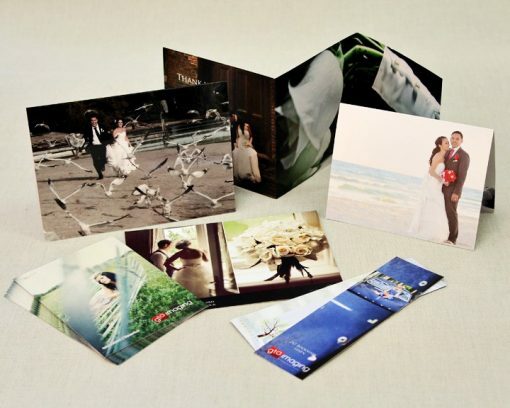 Our press cards and books provide photographers with unique products to offer their clients. Press products are versatile because they can be printed on both sides and can be printed on different papers and stocks. Press products can be used for wedding thank you cards, birth announcements, holiday cards, and many more. Press cards are FSC certified archival paper and is manufactured responsibly and have a reduced effect on the environment. The silk is our standard paper type which offers silky finish with a heavy feel. This subtle two-sided Linen texture is like a finely woven cloth. This artistic watercolour paper is ideal for those looking for a soft look and feel to their images. Using our standard Silk paper stock, you can now add either one or 2-sided glossy coat to your press cards for a shiny & contrast look! Pearl Ice is a unique paper type with a luminescent shimmer for added elegance and extra special touch. New press metallic paper for our fine art press card line. Enhances images by giving it a “soft glow” effect. Once you see and touch this paper you won’t be able to keep your eyes off it! Standard white envelopes are included for 4X5.5, 5X5, 4X6, 5X7 and 4X9 sizes only. Upgraded envelopes are available through ROES. 4X5.5 & 5X7 sizes only. Press Printed labels are available in rectangular & round formats. Great way to show your brand and market your studio and business. Please use design templates. NOTE, Please delete overlay layer before saving design in Photoshop. 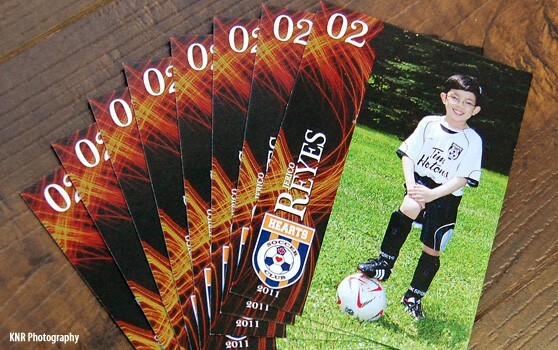 Trading cards are press printed cards sold in sets of 8. Great for sports teams and dance photos. High quality buttons, printed on Press paper. Great for kids, wedding favors and more! One size only, 55mm Diamater (Approx 2.25″). Minimum order: 4 Buttons.